Crunch Time : To keep pressure from undermining your performance, try “reframing.” Then you can’t imagine striking out. About the authors: Rick Peterson is a Longtime Major League Baseball Pitching Coach and Judd Hoekstra is a vice president at The Ken Blanchard Companies. Radical Technologies : Adam Greenfield critiques how technologies like smartphones shape people’s experience of the world. About the author: Adam Greenfield, also the author of Against the Smart City, taught in the Urban Design Program of the UCL Bartlett Faculty of the Built Environment at University College London and the Interactive Telecommunications Program at New York University. He was head of design for Nokia; an information architect in Tokyo; a rock critic for SPIN Magazine; a medic at the Berkeley Free Clinic; and a sergeant in the US Army’s Special Operations Command. Das Digital : Goodbye to old capitalism! Big Data is revolutionizing our economy. About the authors: Viktor Mayer-Schönberger used to be a Professor at Harvard and now holds the academic chair for ‘Internet Governance’ at Oxford University. He is also the author of the massive bestseller ‘Big Data’. Thomas Ramge works as a journalist and is the author of many successful books. One of which is ‘Die Flicks’, which was honoured with the getAbstract International Book Award in 2004. Meet up! : Forget boring meetings! All people need for that, is a little push. About the authors: Martin J. Eppler is the director of the MCM institute for Media- and Communication management at the University of St. Gallen. Sebastian Kernbach is a lecturer at the University of St. Gallen and manager of the Visual Collaboration Lab. Every day, a flood of information from the media or social networks is crushing down on us. Deciding what’s important or relevant and what’s not – particularly in times of fake news – can prove tricky. Well-researched and thoughtfully written books, however, can help you evaluate information more objectively and provide you with the knowledge needed to take part in meaningful discussions. 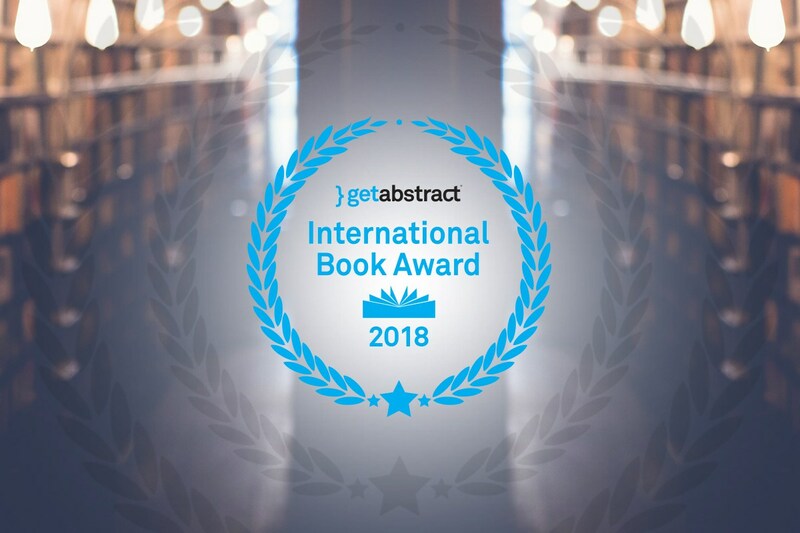 Some of the books that made a key contribution to social discourse over the past year made it to the shortlist of getAbstract’s 18th International Book Award. To check out the German nominees, head to our German blog post.